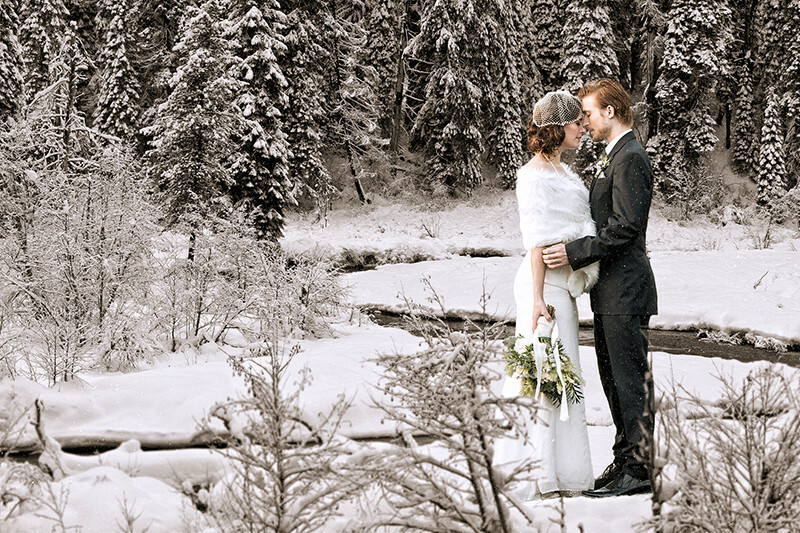 Is there anything more enchanting than a winter wedding? Snowflakes instead of a veil, carollers instead of a jazz band, Santa instead of the best man – Christmas truly turns everything into magic. Cold months evoke tales of old, and what is marriage if not a “happily ever after” fable? 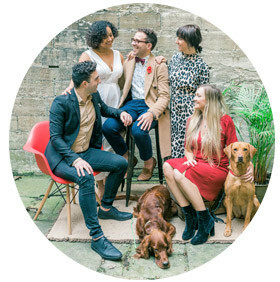 Besides, the traditional wedding season has been wildly expensive for some time now, and savvy frugal couples have learned to adapt. Warmed up by the promise of tomorrow, love birds are now joyously nesting from early November to late February. 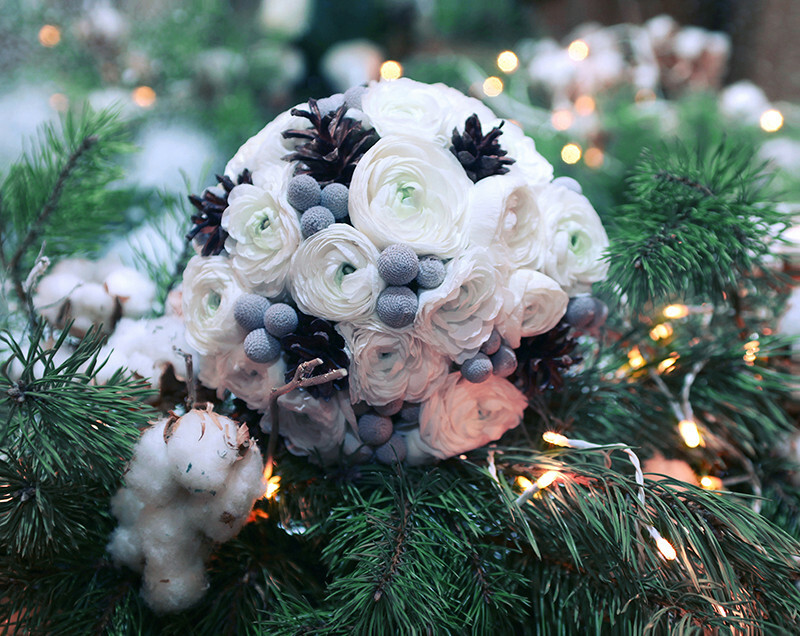 Here’s how to make your winter-themed wedding sparkle, dazzle and, despite all odds, bloom. 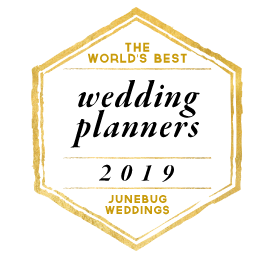 Winter nuptials are not all about snowflakes and hoarfrost – though an all-white wedding is a dream, feel free to leave it to spring bloomers and think in peachy and gold instead. Together, these soft, poetic nuances bring a touch of warmth to the table. Replace your silvers with bronze, and add a bit of fairy-like tinsels to the mix. Once lit with candle lights, they shimmer tenderly and create the classiest of atmospheres. 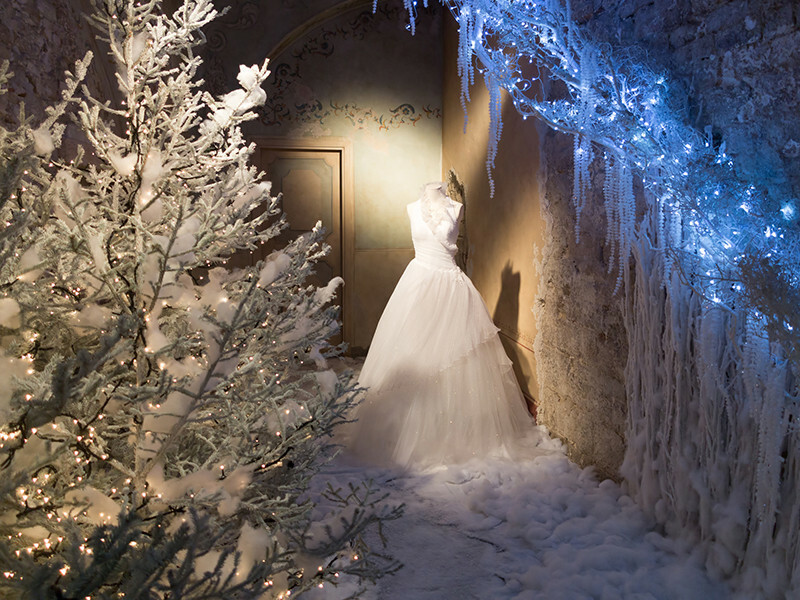 Then again, a winter wedding ceremony is perfect for spreading a bit of Christmas magic all around. Seasonal greens and reds are easy to incorporate into wedding whites, but don’t stop there. Play around with wooden boxes and logs to make the reception rustic and light it up with lanterns and candles to awaken the true Nativity spirit. Pinecones, glistening snowflakes and satin ribbons – a true winter wonderland wedding is frosted with ivory details and studded with white pearls. Decorate your aisle with naked willow branches and scatter white rose petals around to replace the snow. Coat your candleholders with lace, make the ceiling starry with endless Christmas lights and spray silver on baby’s breath; the most wonderful thing about winter décor is that you can make it an arts & crafts project of your own and go wherever your imagination takes you. 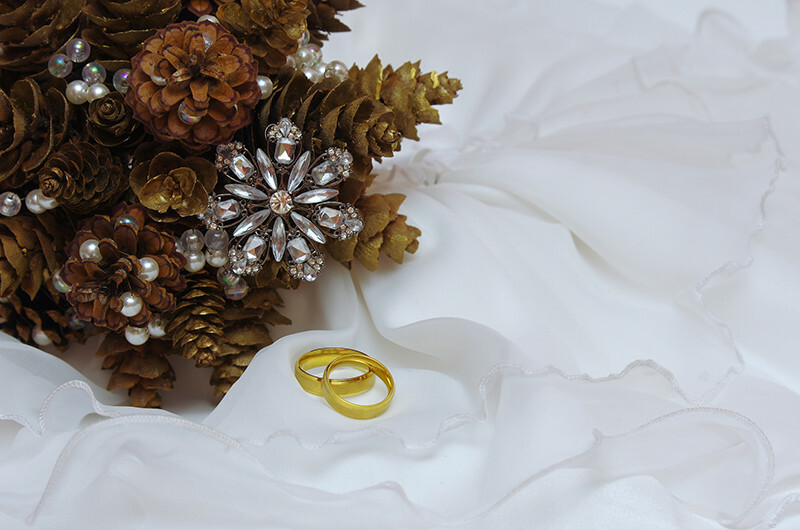 When it comes to decorative details, the biggest problem with winter weddings is separating the nuptial whites from seasonal ones. In décor, this can be done with metallic silvers and faux snow, but these clever ideas work for wedding gowns as well. Dazzling jewels, crystal accessories, subtle satin and intricate lace are stunning when photographed, and the smaller you make your details, the more ethereal your dress will appear. If creative, a photo editing team can make even the tiniest of pearls pop, thus making your wedding portrait a snowflake frozen in air. Coat your shoulders with fur, let your hair fall down freely and savour the most magical moment of your life. As mentioned before, soon to be newlyweds usually choose the season of winter delights because it’s way less expensive than all those lavish spring festivities. The colder it gets, the less crowded wedding venues are, which basically means you can book a whole castle for the same amount of money you would otherwise have spent on a downtown restaurant. Snow-coated gardens, frozen lakes and spacious Victorian halls – can it get any more heaven-like? If you’re lucky, you’ll get to spend the night in an authentic atmosphere of medieval chambers and walk outside to find that a crispy blanket of flakes has covered the hills anew. It’s not only a winter wonderland wedding – it’s a celebration straight from Narnia, but a wonderfully cosy, intimate and idyllic one. From pine needles, cornels and pinecones to glistening snowflakes and fairy lights, winter weddings are both Christmassy snug and elegantly festive. Bring blankets to offer to your guests, mulled wine to propose a toast after you say “I do” and rest assured that you’ll live happily ever after, just like in those childhood stories you used to listen to by the fireplace, with snow falling gently on the windowsills.